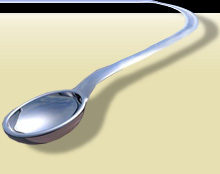 SpoonFeeder is a unique and cutting edge software program for auction sellers. Quickly and easily generate professional advertisements, auction listings, and item for-sale listings using an advanced template technology. Supports creating and posting listings to eBay auctions, eBay fixed price auctions, eBay Stores, eBay Motors including international sites and other great auction sites like Bidtopia.com! Provides user control of font typeface, size, color and style including bold, italic, underline, strike-through, marquee, slide, alternate and scroll. Create flawless sales descriptions with the integrated spell checker and thesaurus. Manage a database of reusable phrases and description to speed up the creation of numerous similar items. Easily include and organize photos of the item for sale. Upload photos automatically with integrated FREE picture hosting. Enhance photos with resize, rotate, brightness, sharpen, crop, and adjust color saturation. Load, save, edit and print world class item listings. Preview and quickly revise item listings. Format with custom description footer for standard buyer instructions. Generates html web code for export to private web sites or on-line shopping systems. Post listings automatically and on-demand directly to major auction and commerce sites of your choice. Schedule your listings to start automatically at any date and time. Support for importing databases of items through csv file import and bulk submission of items. Start standard auctions repetitively, according to your schedule with inventory integration. Integrated hit counter system with detailed statistics, bar graphs and password protection. Integrated cross promotional gallery scroller to show off your other items. Check out some screenshots of the software here! Tracks auction status from start through fulfillment. Automatically sends e-mail invoice and winning bidder notification within seconds of auction close. Ability to consolidate multiple purchases from the same buyer on invoices. Can automatically add shipping charges to invoice for both single item and dutch auctions. Sends payment received notices, and notices of shipping by e-mail with a single click. Provides a feedback database for easy selection. Will automatically reciprocate on positive feedback, if desired. Automatically Sends late payment notices by e-mail. Automatically files Non-Paying Bidder Alerts. Automatically files Final Value Credit Requests to recover fees for incomplete auctions. Numerous pre-designed reports are available and can be user customized including support for transaction export to csv files.